Accurate Perforating makes everything you make more efficient, more refined, more beautiful and more useful. Get exactly what you need on time and within budget — from simple perforated materials to large orders for custom architectural and industrial parts and components that fit your application perfectly. Think of Accurate Perforating as your one-stop shop for complete perforated metal solutions. We can perforate, fabricate, and finish almost any metal for almost any use. 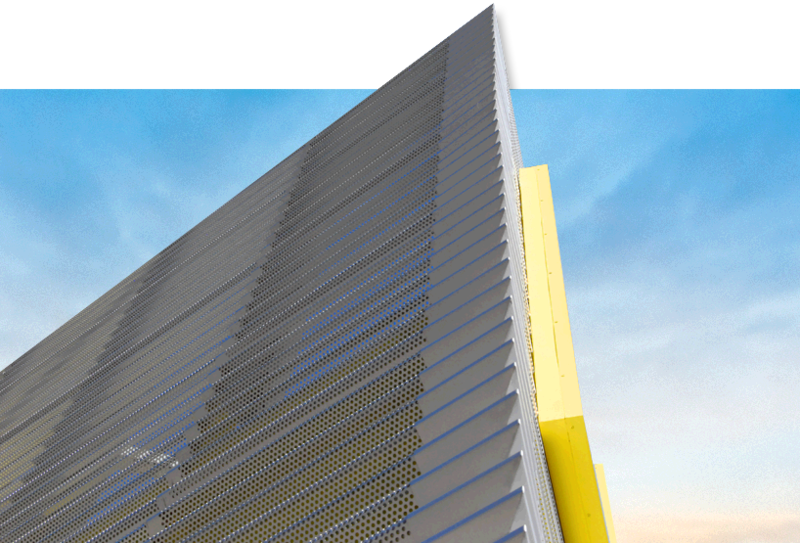 Whether you need perforated aluminum, carbon steel, stainless steel, brass or copper; in perforated sheets, coils, blanks, parts, or finished components; or architectural metal, decorative metal, railings, facades or sunscreens — with the widest range of thickness, hole size or pattern — we can do it! We can even perforate nonmetallic materials such as plastic, and we’re happy to work with materials you provide. Our Engineering and Project Management teams focus on providing the exact product needed within budget. Our Production, Quality, Packaging, and Shipping departments ensure products are received within specifications, on-time, and in perfect condition. We supply more than your standard perforated metal sheets. If you want a component that fits perfectly into your application, with minimal waste and rework, and delivery of what you’re expecting when you expect it, then choose Accurate Perforating. We specialize in custom and complex work, and we are committed to meeting even your most demanding requirements with the highest-quality products, unmatched honesty and outstanding customer support. Since 1942, family-owned and operated Accurate Perforating has grown from a small machine shop into a 210,000-sq. ft. full-service facility offering complete perforating, fabricating and finishing solutions. With the latest equipment, the most experienced and exacting craftsmen, and superior service, we’ve earned the loyalty of our customers. Work with us and see why we enjoy a reputation for being the very, very best at what we do. "Perforated metal components provided to the University of Wisconsin–-Milwaukee School of Architecture’s Solar Decathlon team by Accurate Perforating helped to give the Meltwater House the architectural flare they desired and an increase in the building’s performance."